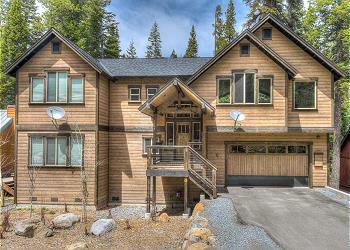 Beautiful three story home in Tahoe City's Dollar Point community. Newly renovated with a thoughtful and spacious design. Three private bedrooms and a fourth "bunk room". Close to ski resorts, beach, and trails. Comfortably sleeps 12 and has a hot tub. REQUEST OF DATES ONLY- NO INSTANT BOOKING. Beautiful family home in the Dollar Point neighborhood. Lake views from almost every room. Eight bedrooms and six bathrooms, sleeps 16. Dollar Point beach, tennis and pool privileges. 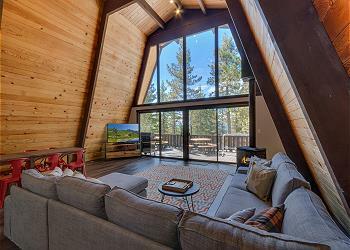 Luxury Log Cabin on the Truckee River with spectacular secluded views and 5500 square feet of luxurious space. 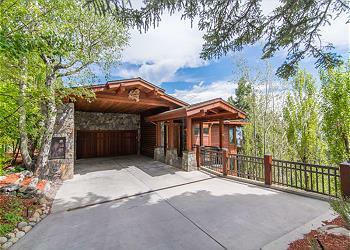 Located on the Truckee River and adjacent to the National Forest. Perfect for family reunions, and gatherings. This newly available home is in perfect condition. The luxury home features 4 bedrooms and 3 baths for a large family or group. Beautiful furnishings throughout add to the enjoyment. A hot tub is featured on the bottom floor deck and easy to access.